Three weeks ago I was flipping through the Chinese newspaper and saw some pictures of sushi with "50% OFF" written right next to it. So naturally I had to figure out what was going on, 'cause I'm ok with half price sushi anytime, anywhere. Kabuki first appeared in Edmonton as a restaurant on 109 Street in the university area. I was surprised to find out that Kabuki offers franchising opportunities, and I believe this led to the south location opening. Walking in to the restaurant, you'll find that the space is quite small. There's a handful of tables and a few tatami style rooms which can accommodate larger groups. 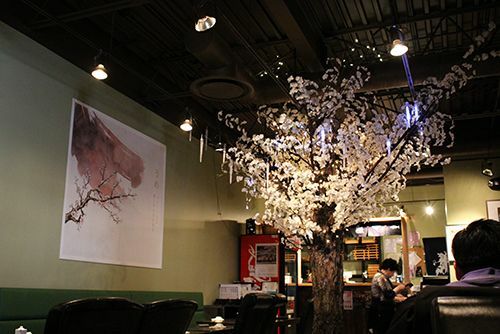 The decor is simple and different specials are posted along the walls, while a decorative cherry blossom tree stands in the middle of the space. In the Chinese newspaper Kabuki was advertising 50% off their Love Boat on Tuesday evenings. My sister and I went in for dinner at 6PM and were surprised to see that the restaurant was fairly empty, given the allure of the advertisement! The Love Boat on the menu is typically $39.99 and intended for 2 people, which was perfect for our situation. 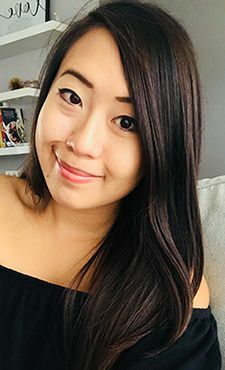 As described on the menu, the Love Boat comes with 6 nigiri (tuna, salmon, shrimp), a California Roll, the Edmonton Roll (prawn tempura, spicy tuna, crab), and assorted tempura. After placing our order, we were each offered complimentary miso soup. The miso soup wasn't overly salty, and had a decent amount of tofu and seaweed. When the boat arrived at our table, we thought to ourselves that it didn't seem like a big portion and we would be needing to order more food afterwards. But let me tell you, the miso soup they give you really makes the rice expand in your stomach, so you're more than set with just the boat for your meal. Overall, the sushi was good. The quality is there but it's not amazing. What I found interesting was the fake crab meat they were using. It was very finely shredded, almost perfectly mimicking the texture of real crab meat. Neat stuff. The tempura was golden and crisp, with the shrimp and vegetables cooked well. 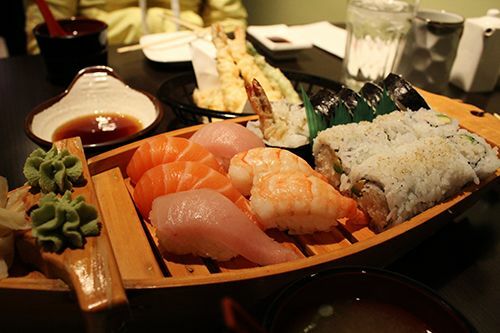 The Love Boat is great if you're just craving sushi and want a quick fix, as nothing is fancy about it. I surely would not pay the regular price for it as it wouldn't be worth it for what you get. But $20 for 2 people? Why not? Give them a visit on a Tuesday night and let me know what you think! I'm glad you took advantage and went to try this place out, the deal made it really worth it! And damn, sushi is really expensive where you are! Sushi in singapore like that probably would about 20 dollars or less depending on where you got it from! I'm so used to great sushi being cheap here in asia but you never loose out on trying a place with a great deal! Sushi here is so expensive 'cause we have no freshwater! All our fish gets imported from either another Canadian city or a country far away. I totally wish sushi was was cheaper! 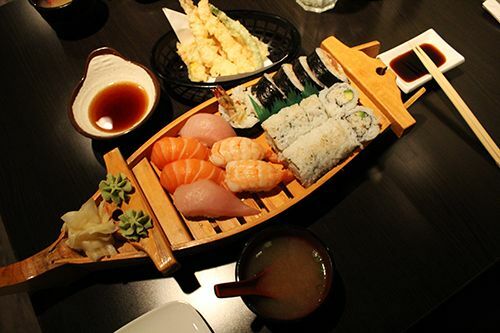 that sushi boat looks delish!! :D great deal too! OMG look at sushi, I wanna eat it! !